On Monday, a more than 200 page-long memorandum released by Massachusetts Attorney General Maura Healey Monday appeared to show that executives of Purdue Pharma, including members of the founding Sackler family, were intimately involved in a years-long campaign to drive up sales of their blockbuster drug OxyContin, despite warnings about its addictive, destructive potential. On top of that ugly news, on Friday, a new study provided the first clear evidence that the aggressive marketing tactics of companies like Purdue led to more overdose deaths. The release of the memo is the latest salvo fired by Massachusetts, one of many states and counties that have filed lawsuits against Purdue for its role in the opioid crisis in recent years. According to Boston NPR affiliate WBUR, Massachusetts was the first to actually name members of the Sackler family as defendants in a lawsuit. An earlier version of the memo was released in December, but contained significant redactions. The new memo, released in advance of a hearing scheduled to take place in the Massachusetts Superior Court next week, still contains some redactions, but shows off plenty of damning material said to be sourced from the company’s internal documents. In particular, the memo seems to directly contradict claims made by the Sacklers that they had no role in or knowledge of any malfeasance by the company. It singles out former Purdue Chairman and President Richard Sackler. 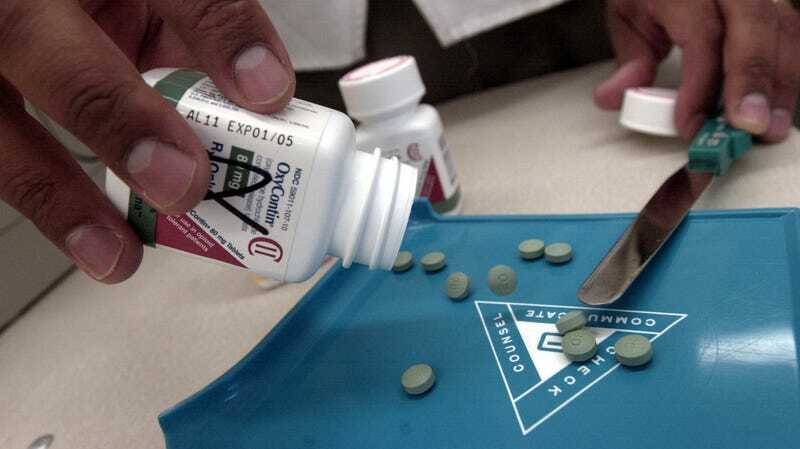 In 2007, Purdue pled guilty in a Virginia court to misleading doctors about the risks of OxyContin, being forced to pay out $600 million in fines. But according to the memo, the Sacklers still aggressively directed the company to increase sales of the drug following the 2007 judgement; the company then hired more sales reps and turned to a blind eye to prized doctors who over-prescribed the drug or diverted their supply to the black market. The doctors marketed to by these reps at Purdue and other companies are the focus of the new study, published today in JAMA Network Open. The authors looked at pharmaceutical industry marketing data and cross-referenced it with national data on opioid prescribing rates and overdose deaths. They found that $40 million was spent on opioid marketing that reached more than 67,500 physicians between 2013 to 2015. They also found that areas of the country with more opioid marketing were associated with higher opioid prescription rates; these higher rates were in turn correlated with higher overdose deaths a year later. The study only establishes an indirect link between aggressive pharma marketing and later deaths. But the authors say theirs is the first to explicitly examine the possible connection. Though recent years have seen a greater uptick of overdose deaths caused by illicit opioids like fentanyl, prescription opioids were involved in nearly 17,000 overdose deaths reported in 2017 (46 deaths a day), according to the Centers for Disease Control and Prevention. Purdue has downplayed the claims made in the memo. In a statement to WBUR this week, a representative said that Massachusetts AG Marie Healey was trying to “vilify a single manufacturer whose medicines represent less than 2 percent of opioid pain prescriptions rather than doing the hard work of trying to solve a complex public health crisis.” That said, Purdue finally shut down its marketing team in 2018. For the horrible cherry on top, the CDC also released research on Thursday suggesting that higher opioid prescribing rates could be responsible for higher rates of a rare birth defect called gastroschisis. Around 1,900 children a year are born with the condition, in which the intestines form outside the body. But the study, which looked at 20 states, found that the prevalence of the condition between 2011 to 2015 had risen by 10 percent compared to the time period between 2006 to 2010. And in areas where opioid prescription rates were relatively high, cases of gastroschisis were 60 percent higher. If all this isn’t maddening enough, here’s a final note. Just last September, a subsidiary of Purdue was granted a patent for a form of buprenorphine—an opioid addiction treatment. One of the inventors listed on the patent is Richard Sackler himself.